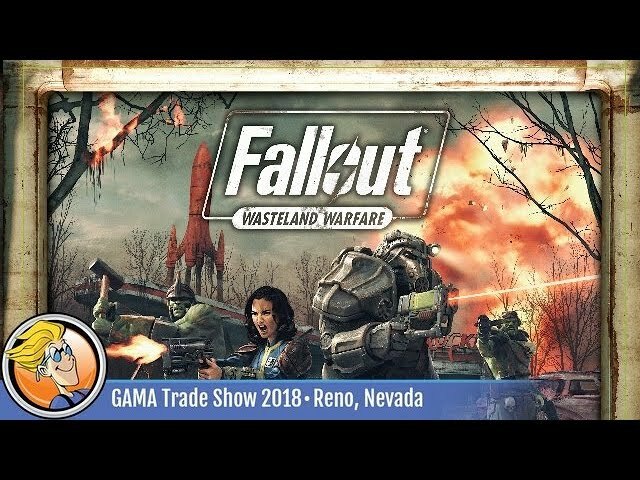 Fallout: Wasteland Warfare is a miniatures tabletop skirmish game where players can build their own crew from a wide range of factions, allies, and iconic characters from the Fallout series. Play anywhere from three to thirty miniature battles through a huge variety of scenarios and settlements, and level up your crew's weapons, gear and upgrades for the next encounter through solo, co-operative, PVP, or tournament modes. The Wasteland Warfare Two Player Starter Set comes with 20 scenarios including a narrative campaign, a Red Rocket battle map, 12 pre-assembled minis from the Sole Survivor, Brotherhood of Steel, Settler, and Super Mutant factions, and solo play AI mode. Buy Fallout: Wasteland Warfare for a game of post-apocalyptic battles in the iconic wasteland of one of gaming's most enduring settings.